enjoying the mountain, originally uploaded by jahansell. 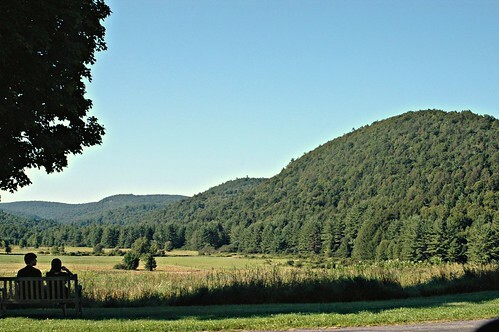 If it is Mohawk Mountain then it has a very worthy name, and honorable and strong. It is also a nice photo. I also like your post yesterday. Nope, Mohawk would be well to the left and over the ridge where the Cathedral Pines used to be before the 1989 tornado took them down. That spot is in what is known as Cornwall Plains, in front of what used to be The Marvelwood School campus (before it moved to Skiff Mountain in Kent. I lived there from 1984-87. I'm not sure of the name of that little mountain either, but the view is of the Coltsfoot Valley.